The K&M 12179 Perforated Folding Music Stand features a sturdy, steel sheet music desk and tripod support legs that lock into position for reliable mounting. The legs fold for easy transport and the stand height is adjustable between 24 to 42.52" (610 to 1080mm). The perforated sheet music desk is removable and easily attached to the tripod stand with only two screws. 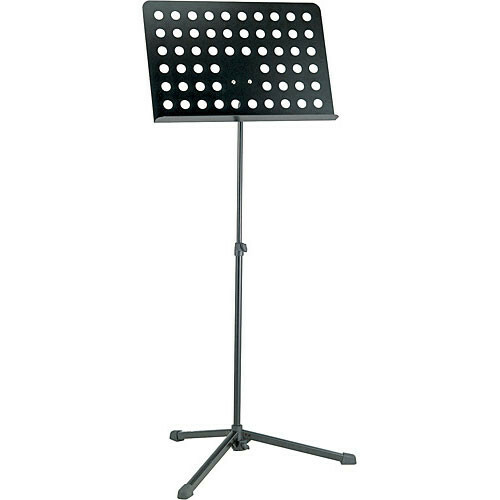 The 12179 sheet music stand is reliable and suitable for all musical applications. Box Dimensions (LxWxH) 30.1 x 14.0 x 4.8"